Learn about the importance of this elite category of modifiers. Not all modifiers are created equal! All noun modifiers, by definition, give additional information about the noun they modify. BUT, the importance of that additional information can vary significantly. Consider the following two sentences, both with modifiers underlined. 1) Last year, I visited the Chartres Cathedral, which is considered the principal exemplar of Gothic architecture. 2) The man who lives next door to me has three large dogs. Both have a relative clause modifier, and both provide information about the noun they modify. Now, consider these sentences, with those modifiers removed. 1) Last year, I visited the Chartres Cathedral. 2) The man has three large dogs. The first sentence is still perfectly clear: it leaves absolutely no doubt where I went last year (because there is only one Chartres Cathedral in the entire world!). In contrast, the second sentence leaves us in the dark. The natural question evoked by that sentence is “What man? About whom are we talking?” There is something essential now missing from this second sentence. These two exemplify the difference between an ordinary modifier and a “vital modifier.” A vital modifier is essential to establish the identity of the noun in question, and omitting it leaves an important question unanswered. A non-vital, ordinary modifier may add interesting information, but it is not necessary to establish the identity of the noun. The post on restrictive clauses already explored an aspect of this topic. A restrictive clause is always a vital modifier. A non-restrictive clause is always a non-vital modifier. That post also made another important distinction: non-vital modifiers should be set off from the rest of the sentence with commas, but vital modifiers should not have commas (notice that #1 above has a comma, and #2 doesn’t). Exception to the Modifier Touch Rule! This is a biggie! In general, a modifier should touch the noun it modifies. For example, this sentence would be considered faulty on GMAT SC. 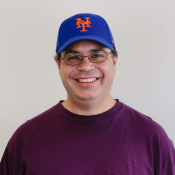 3) I am going to the show with my friend Kevin, who likes Elvis, the nicest person I know. This sentence is a train wreck! The appositive phrase modifier “the nicest person I know” is currently next to Elvis, so it implies (a) somehow I know Elvis (who has been dead for 35 years! ), and that (b) Elvis is the nicest person I know, contrary to at least some appraisals of the man. Clearly, the modifier “the nicest person I know” is supposed to modify Kevin, but because its placement violates the Modifier Touch Rule, it creates a grammatically unacceptable sentence that would always be wrong on GMAT SC. 4) The workers at the envelope factory, having been on strike for seven weeks, were finally close to a settlement with management. The participial phrase “having been on strike for seven weeks” is a modifier. It can’t modify “envelope factory” — the building itself can’t go on strike. It must modify “workers”, so naively one might assume this construction also violates the Modifier Touch Rule. Nevertheless, this sentence is 100% grammatically correct. The prepositional phrase “at the envelope factory” is also a modifier, and it is a vital noun modifier: without that phrase, we would have no idea which “workers” were being discussed. A vital noun modifier can come between a noun and another non-vital modifier. This is the big exception to the Modifier Touch Rule. By the way, notice that the vital modifier “at the envelope factory” has no commas separating it from “the workers”, but the non-vital modifier “having been on strike for seven weeks” is set off by commas from the rest of the sentence. If you understand the important distinction of vital vs. non-vital modifiers, you will master one of the subtlest categories on GMAT Sentence Correction. is the above sentence correct? If not can you please tell why? You are missing one comma before “was arrested.” So the sentence should be: Today, the former mayor, who diverted thousands of dollars of public money into his private account, was arrested. I hope that helps! Thank you for all the explanation above. By 1999, astronomers had discovered 17 nearby stars with planets orbiting them that were about the size of Jupiter. ‘that’ seems to modifier either ‘planets’ or ‘stars’, it’s ambiguous. Since the correct way is that ‘A vital noun modifier can come between a noun and another non-vital modifier.’ I am wandering whether it is always NOT OK to insert a vital modifier between a noun and another vital modifier? Just like the sentence above. That sentence about astronomers and nearby stars is a tricky one. Thanks for sharing it here, as it raises some important grammatical questions. By 1999, astronomers had discovered 17 nearby stars with planets that were about the size of Jupiter orbiting them. By 1999, astronomers had discovered 17 nearby stars that were about the size of Jupiter with planets orbiting them. You could also technically add on an opening non-vital modifier to the beginning of the sentence, writing something like “As the object of the scientific study, the largest moon of Saturn, which contains liquid hydrocarbons in the polar region, is the only natural satellite of a planet with a dense atmosphere.” But this kind of addition wouldn’t be made to your example sentence if the sentence appeared on the GMAT. Adding this extra non-vital modifier makes the sentence awkward and unwieldy, even though it does not actually break any specific GMAT grammar rules. The suggestion that the meeting should be adjourned was unanimously accepted. Is this sentence correct? Should commas be added? Why? The sentence is 100% correct and any commas at all would be 100% wrong. The “that” clause is a vital modifier of “suggestion”, so we need no separation there. It’s very unusual to separate a subject from a verb with a comma if modifiers don’t require it — perhaps if the sentence were unusually long and commas were required for clarity. Here, this is a short, direct, powerful sentence that easily can be said in one breath. A comma would introduce an unnatural pause, a pause that would not work in spoken language. Dear Mike, quoting the example above, “The suggestion that the meeting should be adjourned was unanimously accepted.” Why is the command subjunctive not used with “suggest’ here (“that the meeting be adjourned”). Is it because “suggestion” is a noun? Hmmm. A non-vital modifier MAY appropriately modify a noun even though a vital modifier comes between them — this, of course, assumes that there is no ambiguity, absolutely no possibility that the non-vital modifier could be understood as modifying the final noun inside the vital noun modifier. If the vital noun modifier is short and especially if it contains no nouns, that significantly reduces the risk of ambiguity. The slightest bit of ambiguity is always 100% incorrect on the GMAT SC. Firstly, thank you so much for your wonderful articles. Based on this article, I have a two questions on an Official (OG13 Q7) question. The intricate structure of the compound insect eye, (having hundreds of miniature eyes called ommatidia, help explain why scientists have assumed that it) evolved independently of the vertebrate eye. Over here, as “of the compound insect eye” is a prepositional phrase, the sentence sounds like the “structure” is having hundreds of miniature eyes. Is my reason correct? The intricate structure of the compound insect eye, with its hundreds of miniature eyes called ommatidia, helps explain why scientists have assumed that it evolved independently of the vertebrate eye. My question on the above sentence is: How does “with” solve this issue? I mean can you refer me to an article or provide me the answer on how “with” is used in such cases? and if the prepositional phrase is obvious a vital noun modifier, then the “noun modifier” could refer either to “noun #1” or “noun #2.” There’s no fixed rule. There’s no mathematical pattern to determine this. You have to engage with the MEANING of the sentence. 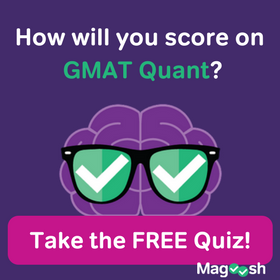 Folk forget that GMAT SC is not just about grammar — it’s about meaning, and in this instance, the grammar alone is not enough to determine something. You have to rely on the meaning. a few gmat sc books suggest that we can insert a SHORT non essential modifier b/w a noun and its another modifier. our system of presidential elections favors states,such as delaware,that by population are over-represented in the electoral college. I am going to the show with my friend Kevin, who likes Elvis, the nicest person I know. if we just follow the rules,both the sentences should be correct,but the 2nd example is clearly not correct. First of all, notice in the second sentence, the phrase “such as Delaware”, is an *example* of the larger category “states”, which naturally subordinates it to that word. Notice also, we have “states” (plural), such as Delaware (singular), that … ARE..” — the verb in the dependent clause is a *plural* verb, which removes all doubt about which of the two that clause is modifying. The larger issue is using the grammatical structures to remove ambiguity. Your sentence, about presidential elections, is a perfectly correct sentence because, among other things, there is not one iota of ambiguity. By contrast, the example sentence about Elvis is a trainwreck, because of the wild ambiguity. It’s not about “bending” the rules — rather it’s about understanding that there are rules operating at several levels — the more “formal” grammar rules about what matches and what can go next to what, but then the requirements about no ambiguity and other logical constraints. In a truly powerful sentence, vocabulary & grammar & logic & meaning all converge and support a single aim. You always have to be thinking at all of those levels. BTW, those books that suggest “we can insert a SHORT non essential modifier b/w a noun and its another modifier” — those sound sloppy and not very reliable. Stick to more reputable sources. I think sometimes, if sentence avoids ambiguity, we can use a non-vital in between as a modifier. Oprah Winfrey holds a talk show, considered as high rated, that has won many awards. This sentence is clear as we know ‘That’ is a vital modifier,and meaning of sentence is clear. But my point is how something, as in above sentence- a talk show,that is already defined(as non essential ‘considered as high rated’ are used) can be defined again using a that clause? First of all, my friend, let’s be very careful to distinguish (a) grammatically correct in everyday speech and writing vs. (b) grammatically acceptable on the GMAT. Those two are NOT identical. This point, a non-vital modifier intervening between a noun and a vital modifier — if it presents no ambiguity, it definitely would pass in spoken English, and probably in many written sources, it would be fine as well. 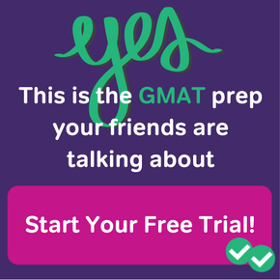 There is something very subtly “off” about it, so I think it would not appear in more formal written sources, and I can 100% guarantee that it would not be right on the GMAT. Grammar is NOT like math. It is not simply a matter of 100% right vs. 100% wrong. 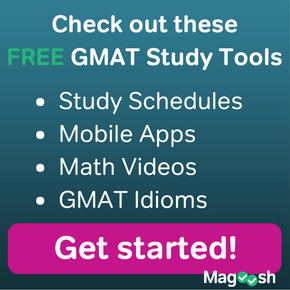 There are many shades of gray, and it’s very important to appreciate where the GMAT takes a stand, and how this stand may differ from that of other grammatical authorities one might consult. Finally, if I may give you some advice about writing in English. There must be a space after every comma. There must be a space before every open parenthesis, and either a space or a piece of punctuation after a closing parenthesis. Practice all of these things diligently any time you write English, because you need to be impeccable by the time you write your essays. The way you give reply to each of my post is just splendid. Now I can understand what GMAT really wants, unambiguous sentences with clarity of both logic and idea. From now onwards, ‘Noun+Non-vital modifier+vital modifier’ will not find any place in my writing. Thank you for your kind words. Best of luck to you, my friend. How to write the sentence # 3 in correct form then? I am going to the show with my friend Kevin who likes Elvis, the nicest person I know. What to write the correct sentence for the case when there are 2 vital modifiers or 2 non vital modifiers? If you have too many modifiers in a sentence, the best solution may be to break up all that information into two or more sentences. i should consider tap dancing classes atleast. is this correct way of using atleast. is atleast a modifier? and i should atleast consider tap dancing classes. has the same meaning. First of all, the phrase “at least” consists of two words — it’s not a single word. Yes, it is a modifying phrase. It implicitly establishes something as minimum of a scale. 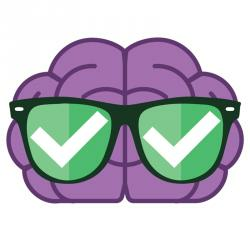 1) “I should at least consider tap dancing classes.” — Here, “at least” modifies the verb “consider”, and suggests that the speaker may take an action stronger than “consider” — perhaps, “investigate” or “decide on”. The contrast is “considering” vs. stronger forms of action. 2) “I should consider at least tap dancing classes.” — Here “at least” modifies the noun “tap dancing classes”, and suggests the speaker may turn her thoughts from something light, like tap dancing, to breakdancing or some other highly aerobic form of dance. The contrast is tap-dancing vs. stronger forms of dance. — Conceivably, also, the contrast could be classes vs. some more intense form of practice — say, joining a professional company, or giving a performance. In that reading, “classes” would be the minimum on the scale established. 3) “I should consider tap dancing classes at least.” — this one is slightly unclear, but seems to have the same meaning as #2.
that was a very quick reply. yes it makes sense. You are quite welcome. Best of luck to you, and let me know if you have any further questions. The examples, “that distinguish vital and non-vital modifiers” are very good. As the modifier “the nicest person I know” is nearest to the noun ‘Elvis’, we can take that the modifier is intended for ‘Elvis’ only, in which case there should not be any ambiguity and the sentence may not be wrong. Isn’t it? Kindly explain. 2. Can we consider the sentence-4 as grammatically correct, even though the modifier is not nearer to the intended noun? In sentence #3, the only way it could be correct would be if (a) I personally knew Elvis (who died when I was in grade school! ), and (b) I genuinely thought, of all the people I know personally, he was the nicest. Both of those are highly unlikely. Admittedly, the GMAT will give you more unambiguous signs, but the logic of this situation strongly supports the interpretation that “the nicest person I know” is meant to refer to Kevin, not Elvis. Yes, I suppose, however unlikely, one could plausibly imagine that I had at one time a warm friendship with Elvis; again, the GMAT will give you signs that are much more unmistakable. Sentence #4 is, as I say, “100% grammatically correct”. The crucial point: vital noun modifier constitute a valid exception to the otherwise universal Modifier Touch Rule. Does that make sense?